Thanks to technology, you no longer need a pirate's map to search for hidden treasure. And while geocaching doesn't lead to gold coins and precious jewels, it does lead to fortunes of its own. "[Geocaching is] a hi-tech hide-and-seek game where geocachers use a GPS or a smartphone to hide and find containers worldwide," says Lisa Breitenfeldt, the owner of the Spokane Valley-based geocaching store Cache Cave. Geocachers hide containers of a variety of sizes, often containing logbooks and/or small toys or trinkets to trade, then post the cache's coordinates on a geocaching website, the largest being geocaching.com. The first documented GPS-located cache dates back to 2000 in Beavercreek, Ore., and since then, nearly three million caches have been hidden across all seven continents. There's even a cache hidden on the International Space Station. Breitenfeldt, who has been geocaching for 14 years, estimates there are between 3,000 and 4,000 caches hidden around the Spokane area. During Cache Cave's three-day Filmed in Spokane Tour, some of those caches will be used to highlight Spokane's movie history. On July 15, Cache Cave will launch "Night Vision Quest," a collection of night caches focused on 1985's Vision Quest, which was filmed at several Spokane high schools and local hangouts like Bigfoot Tavern and the Onion. On July 16, the locations of approximately 30 film-related caches will be published online. There will also be a Geocaching 101 class for newcomers or those looking to brush up on their skills at the kick-off event in Greenacres Park. And on July 17, Cache Cave will welcome geocachers and community members alike to a morning matinee of Benny & Joon at the Garland Theater, followed by the launch of a small Benny & Joon cache tour. The weekend is free to attend, but registration packages with extras like a T-shirt and priority seating at Benny & Joon are available for $18-$75 at cache-advance.com. The Filmed in Spokane Tour and other Cache Cave events aren't your only opportunities for hi-tech hide-and-seek though, as geocaching lends itself to flexibility. "Geocaching is a great way to plan your own adventure," Breitenfeldt says. "You can do it for 10 minutes, pick up an easy one on a roadside stop on your way to the grocery store, or you can plan a multi-day hiking or cross-country trip and find lots of caches that way. "That's what makes it really unique. There's something for everybody." Always wanted to do yoga on a stand-up paddleboard? Try it out at Spokatopia on July 9. You have to be picky when selecting your teammates for Spokane to Sandpoint (Aug. 26-27). Not only do you have to choose strong runners, but you also have to pick people who you won't get sick of after 30 hours together. After all, that's about how long it takes to run the 200.2-mile overnight relay. The current course record is 22:21:59, set by Manitou Running Club in 2013. Think you and your friends can beat that? Visit spokanetosandpoint.com to register. Whether you can only spend a weekend away, or you've saved up your vacation time for a lengthy trip, Montana's Glacier National Park is a worthy destination. 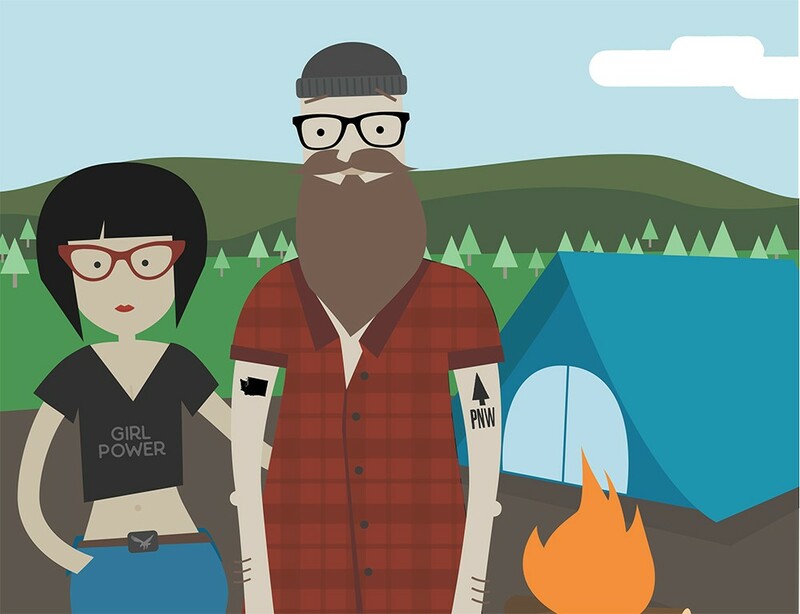 The park's 13 campgrounds and 1,009 sites mean there's space for everyone, and with opportunities for hiking, biking, fishing, boating and guided tours. But it's also understandable if you spend all your time simply taking in the incredible scenery, no filter necessary. No pain, no gain, right? Put that to the test during the SEALFIT 20x Challenge and Obstacle Dominator Course (July 9-10). On day one, SEALFIT staff will coach participants through 12 hours of pull-ups, push-ups, sit-ups, squats, burpees and obstacles at an undisclosed location in Spokane. Check out the training protocol at sealfit.com. On day two, obstacle course pros Ben Greenfield and Hunter McIntyre will lead the Obstacle Dominator Course, which can be added onto the Sealfit 20x experience or completed on its own. Though $30 is a reasonable price for access to millions of acres of recreational lands across Washington, you can't beat free. This summer, Washington State Parks has designated Aug. 25 as a free state park day, no Discover Pass required. Or enjoy free swim days at area pools: Cheney (June 17), Shadle (June 24), Liberty (July 1), Valley Mission (July 8), Hillyard (July 15), Comstock (July 22), Terrace View (July 29), Southside (Aug. 5), Northside (Aug. 12), Cannon (Aug. 19), Witter (Aug. 26) and Park Road (Sept. 2). The Inland Northwest offers countless opportunities to try your hand at rock climbing. Each year, summer brings a reprieve from the everyday, a chance to revisit old hobbies or try something new. For some, that means travelling. For others, volunteering. For Shane Collins, it means rock climbing. Collins started climbing in college and after completing his first climb, a route called Crunchy Frogs in Boise's Black Hills, he was hooked and continued climbing after moving to Spokane. "It's movement that you don't get in any other type of sport," he says, adding that it's also a chance to marvel at the variety of scenery he sees while climbing. Though climbing is somewhat of a niche sport, it could soon become much bigger, as there are talks to add sport climbing to the 2020 Tokyo Summer Olympics. But fear not; you don't have to be an Olympic athlete or travel far to climb. You just need some equipment and the natural features of the Inland Northwest. 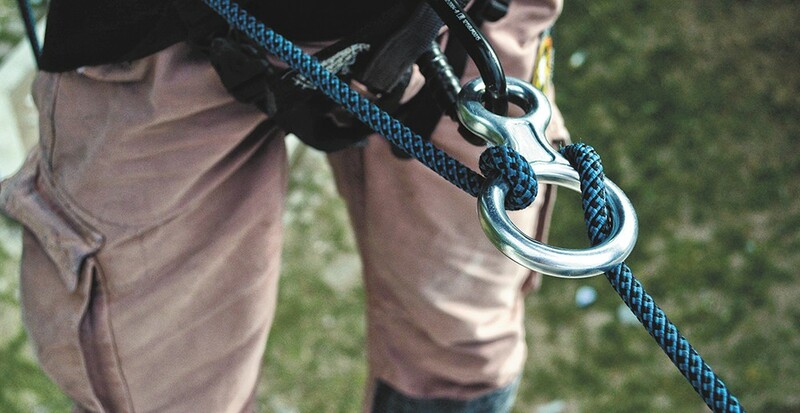 For routes (climbs that require ropes), climbers should have a harness, rope, quickdraws, which connect to the bolt in the rock and a climber's rope, and rubber climbing shoes, which give climbers better contact with the rock. For boulders (climbs that don't require ropes), climbing shoes and a pad to cushion falls are necessary. Routes are great for climbers looking to learn to climb with a harness, get higher off the ground and learn anchor and belay systems. Bouldering, on the other hand, keep climbers closer to the ground and give them more freedom to move. Plus, Collins, who has been climbing for almost six years, says there's more of a social aspect to bouldering, as multiple people can work on one boulder at once. Collins suggests climbers visit John Shields Park (locals also refer to the area as Minnehaha or Beacon Hill), which features smaller boulders of a wide range of difficulty. McClellan and Tumtum are also recommended because of their proximity to the city and the variety available. "You can go there after work or have a day session there, but they're also great to stay a weekend at," he says. "They're also great because they hold a lot of rock for a lot of different people." Collins also recommends Leavenworth, a Bavarian-inspired town on the east slope of the north Cascades. "The granite is probably second in the world to the Alps," he says. "It's a very crisp, sharp granite. You can spend years there and never get bored." But it doesn't matter where you start climbing, just as long as you give the sport a fair shot. Collins says many new climbers stop before they've really started because they become discouraged after falling, though that's just part of being a climber. Local gyms and area outfitters offer lessons to get you started.